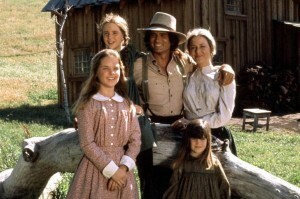 The ALSC has renamed the Laura Ingalls Wilder Award, citing Wilder’s treatment of American Indians in her books. The Laura Ingalls Wilder Award is now officially the Children’s Literature Legacy Award, the Association for Library Service to Children (ALSC) announced this week. The award, which honors authors and illustrators who have made a significant and lasting contribution to children’s literature, was awarded to Wilder the first year it was created in 1954, after Wilder narrowly lost a chance at the Newberry Medal five different times. The award is one of the things that helped to make Wilder and the lovely, gripping Little House books she created into a national institution, the books that every child reads in elementary school. But as the ALSC recognized on Monday, Wilder’s books aren’t just lovely and gripping. They aren’t just detailed descriptions of what it’s like to lay railway track or blow up a pig’s bladder like a balloon and throw it around. They’re also racist, riddled with depictions of American Indians as violent “savages” and with minstrel shows.